being a traveling lover, It is something really mesmerizing for me to watch out the night views of different destinations and get a fun time. Skyline looks really beautiful under the colorful lights and always grab my attention towards them. Now, I am going to watch out the Skyline of Albany at night and surely this would be a wonderful experience for me. 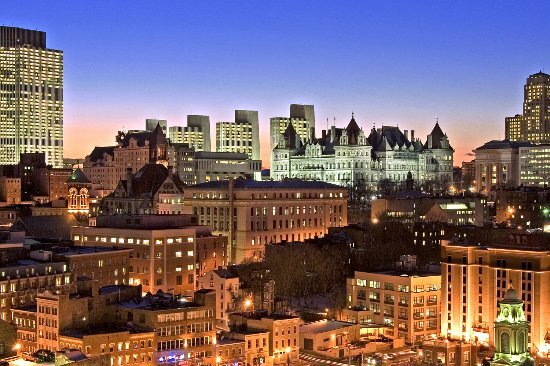 am gonna tell you that you have shared a really cool image of Skyline of Albany with us. I like this spot so much and would like to have an amazing time with my mates at least once. So let me know what do you say about things to do there? I am looking for your good response. Aabish Jane! You take a really nice decision as a traveling freak to visit this city and enjoy the skyline of this city personally at night time there. I really like your travel plan and sure that you will get admirable memories from this trip. By the way, while your journey which places of this cit you will visit and which kind of things you will enjoy there?